Our Team - Professional Building Services, Inc.
All our current and prospective clients know that two things lead a building services team: service approach and price. Professional Building Services, Inc.’s emphasis remains on the delivery of exemplary performance at a competitive value. This goal is attained through the expertise of its Senior Managers and company-wide training for our employees to ensure lasting quality performance. Our commitment to excellent service via superior management techniques is central to our business model. We continuously pursue, and participate in, seminars to remain competitive in the latest cleaning techniques, products and programs that are available. We educate our managers from within but find it crucial to seek and learn from outside expertise when it applies to ever-changing industry products and their applications. Please take the time to review our Senior Management Profiles and consider if Professional Building Services, Inc. can help you achieve your building management goals. Mike’s career in building services began in 1991 while he was a student at The College of Staten Island majoring in Business Management. Mike supported himself in the most entertaining way possible, managing crews at the Ed Sullivan Theatre where the Late Show with David Letterman was filmed. He eventually moved to Springfield, PA with his wife to start a family and solidified his position on the PBS team in 2000. Mike has over two decades of industry related administration involvement and years of experience establishing company-wide goals and best practices with PBS. Believing in the importance of continued education and constant development, he frequently attends product and service seminars to institute creative problem solving techniques into PBS’s daily operations. Mike’s vast experience and knowledge of the industry as well as his emphasis on building lasting and successful client relationships are vital to his role as president of the company. Mike is certified as an official ISSA Cleaning Industry Management & Green Building Standards Expert. ISSA Green Cleaning University logo and “Green Cleaning Professional” designation are limited to individuals meeting the requirements of ISSA GCU and does not imply endorsement of any product, company or other organization. Matt initially started his career serving in the United States Navy from 1976 to 1981. Matt immediately embarked on a career in the janitorial field upon his return to the United States. His experience with the Navy has greatly influenced his approach to the building services industry. He familiarized himself with building maintenance before joining what is now known as Professional Building Services in 1985. Matt grew with PBS, as well as the industry, and is most recognized for his commitment to working with other local and privately owned companies in an effort to standardize higher expectations and remove the practice of lowering performance ratings in an effort to lower prices. Serving as President of PBS from 2008 to 2017, Matt’s dedication is well received by our clients and keeps PBS competitive against larger companies who are positioned to sub-contract their clients. Passing the tradition of leadership onto Mike McCormack as Tony George did for him, Matt is now transitioning to Business Development and continues to further PBS’s platform of reliable excellence within the building services industry. Locally, Matt aids veterans in need, assisting them in finding housing, securing employment, and managing finances. In his free time, Matt follows his passion for competitive sporting clay shooting and actively competes throughout the east coast. This year he is entering the national competition in San Antonio, Texas. Nick joined our team in 2007 as a supervisor leading the special services division. Nick’s hard work on complex projects with diverse teams led to his swift promotion to Area Manager. His commitment to the building services industry and our clients is critical to his management style. Throughout his years of service with PBS, Nick has specialized and excelled in the management of large building portfolios. Nick independently pursues additional enrichment training opportunities that often extend beyond the scope of his position requirements. He instituted our company-wide CleanTelligent quality assurance program and has conducted employee training on the utilization of the system on-site to allow for more efficient and effective monitoring of service standards. Nick is also certified in Water Damage Restoration by the Institute of Inspection Cleaning and Restoration Certification (IICRC). Outside of work, Nick coaches for the Norristown youth community soccer league, mentoring his players to improve both their athleticism and sportsmanship. He also participates as a player with the adult soccer league. 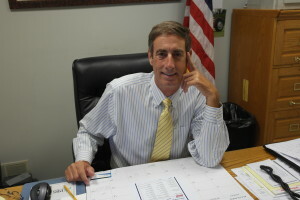 Rob has been with Professional Building Services, Inc. since January of 2012. He came to PBS with a background in the mechanical services industry in which he managed a broad spectrum of mechanical responsibilities. The customer relation skills that Rob brings to PBS make him a great fit for the building services field. 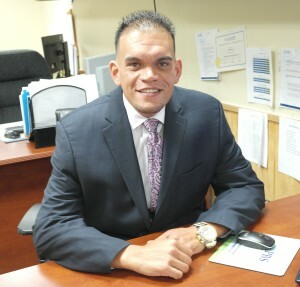 His natural talent and enthusiasm for management led to his deserved promotion from supervisor to Area Manager in 2013. Rob has proven to be a valuable asset to the PBS team and continues to seek growth and improvement within our organization. 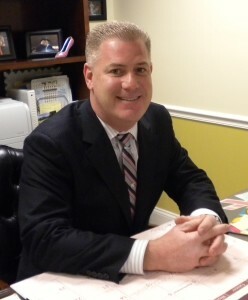 Through his experience with PBS, Rob has developed an expertise specific to managing healthcare facilities. He completed the IICRC Water Damage Restoration course, training, and certification program and handles the majority of the water damage remediation for our company. Rob was born and educated in Brooklyn, New York and relocated to Pennsylvania in 2003. While in New York, Rob worked as a floor maintenance technician for Partners Cleaning Company at the CBS News building. Each year, he dedicates his time and service to the media based Family Support Line’s charity auction event Bids for Kids which raises funds in support of local children affected by domestic abuse. John joined PBS in 2010. 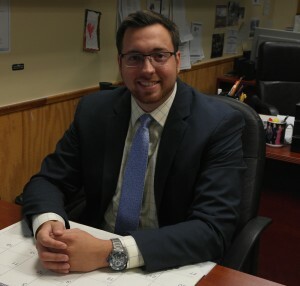 While completing his bachelor of science in Business Administration Management at Kutztown University, he worked part time with PBS attending job starts and shadowing other managers. John joined the PBS team full time in 2014 and currently works as an Area Manager with the company. His dedication and enthusiasm make him a valued member of our team. He continues to independently seek opportunities for growth and development. John has completed the IICRC training courses and certification programs for Water Damage Restoration and Applied Structural Drying. Each year, John helps to coordinate and run the Sigma Alpha Epsilon annual clothing charity drive which donates thousands of articles of clothing to the Salvation Army and the Children’s Hospital of Pennsylvania. Luis moved to Pennsylvania in 2002 from Puerto Rico. He worked as a cars salesman for eight years before starting his career in the building services field. Luis joined the PBS team in 2010 as a cleaner. His dedication and impressive performance record earned him a series of promotions within the company, leading to his current role as Project Manager. 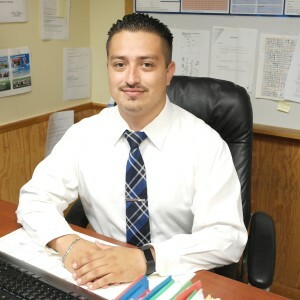 In this position, Luis supervises and oversees the special services division and all facets of its day-to-day operations, including construction cleaning, carpet cleaning, hard floor resurfacing and enhancement, water restoration and remediation, and light construction demolition. Together with his wife and their three children, Luis enjoys riding ATVs, boating, and participating in outdoor activities. 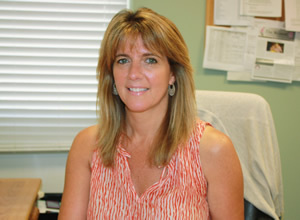 Joy joined the Professional Building Services team in 2008. Having an extensive IT and administrative background, she entered a new role with PBS as Director of Human Resources. Joy oversees payroll, employee benefits, employment compliance, and the transitioning of new employees into the PBS system. She also serves as the IT liaison for our company, facilitating technology solutions for our office staff. A native of the area, she currently lives in Chester County with her family. Joy is active in her community and volunteers with Good Works, an organization that repairs homes for low-income families. Joy is an essential member of the PBS team, her dedication and expertise are crucial to the success of our daily operations. 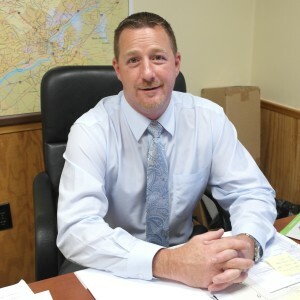 Ryan graduated from Mansfield University in 2000 with a Bachelor’s degree in Business Administration and a minor in Accounting. 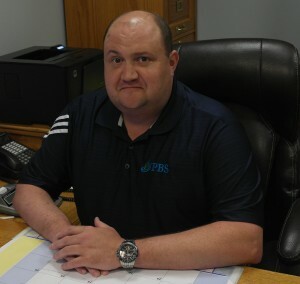 Ryan has worked in the accounting industry for the past 17 years, and has been a part of the PBS team since 2003. As Controller, Ryan is responsible for overseeing all financial and accounting responsibilities with a heavy emphasis on job costing, year-end forecasting, and budgeting. Currently living in Lancaster County, Ryan is a dedicated member of his community. He has volunteered his time coaching and umpiring Little League, and has participated in the Schreiber Pediatric Rehab Center’s annual Volleyball and Softball weekend. PBS is fortunate to have Ryan whose specialized skill set and industry experience make him a valuable part of our team. Maria started with PBS in 2016. Prior to working with PBS, Maria worked as a manager in the food service industry and as a youth counselor with the YMCA. Maria is a graduate of Delaware County Community College with a degree in Graphic Design and a minor in Photography. In her role with PBS, Maria independently operates our CleanTelligent quality control software program onsite and reports directly to the president of PBS. Maria visits all PBS serviced facilities on a rotating basis to inspect the premises and meet with our clients for their feedback on the quality of our cleaning services. Maria’s inspection reports are sent directly to PBS’s President and the respective client, allowing for complete transparency. Maria gives back to her community by volunteering her time to work with the elderly and is an active member in her church.